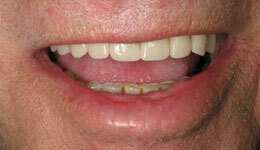 "I was told I needed bone grafting. I didn't want to wait that long. The procedure was quick and painless. I was asleep and didn't feel a thing before, during or after! I can't even tell that these aren't my own teeth. I would recommend this procedure to anyone! 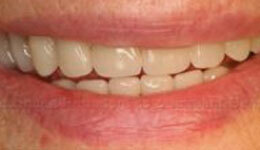 Dr. Nejat and his staff are very professional and caring." -F.F. 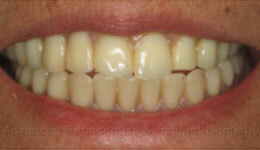 Get your Smile Back! 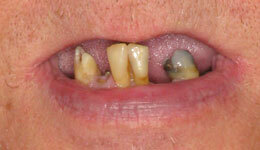 This patient was unhappy with his partial denture, and wanted non-removable teeth. He was told by other dentists that he wasn't a candidate for dental implants because of his bone loss, and would need sinus grafting. Using 3D planning with SimPlant and Nobelguide softwares, we were able to extract his remaining decayed teeth and place 6 implants, angling the distal ones away from his sinuses to allow him to leave with a beautiful, natural looking 12 tooth bridge the same day. "I can’t believe I look 10 years younger. I can see my teeth now when I smile!!" -Z.W. 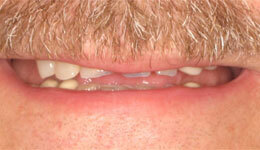 You can avoid dentures! 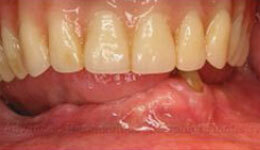 The patient was unhappy with his smile and lack of any teeth in his smile. 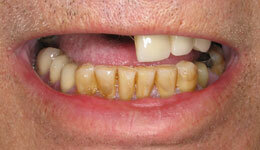 He was told by other dentists that his only option was to get dentures. 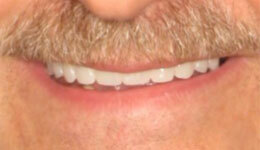 He came to us for a second opinion, and then chose Smile in a Day™ to avoid getting dentures. 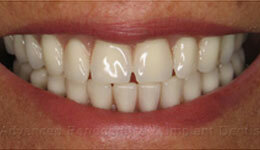 In one visit, 7 hopeless teeth were extracted, 6 implants (2 tilted) were placed using a computer generated template, and immediate insertion of a lab-processed composite bridge with reinforced frame work was performed. He left with a smile - in just one day! The highly educated dentists of Advanced Periodontics & Implant Dentistry are dedicated to providing the best possible treatments for all of their dental implant and gum disease patients. If you would like to consult with a skilled dental implants NJ surgeon or NY / NJ periodontist, please schedule a personal appointment.